Great sandwiches and assortment of craft brews. Have eaten here several times. I've had several great burgers. Last time I had a Reuben. It was excellent but could have used a little more meat. They make their own corned beef - who does that? Will return again. Nice spot! Friday night but I found a seat at the bar. Great server (Austin is a great bartender) and the Burgers are freaking awesome. I will return next time I’m in the area! Excellent restaurant and bar for families and singles. I highly recommend the Jalapeno - Blue Burger. Our go-to when we are in Granville and in the mood for pub-style food. Their sweet potato fries are the best I’ve had! The place was packed but we managed to find seats. Fast service. I recommend the portabella sandwich! Wonderful service . Great food. Definitely will return over and over. Spin dip and wings were Awsome ! As always, great service, great food and most of all GREAT Friends!!! Amaaaaazing food and service. The bartender made me a Bahama Mama. It was awesome. Food was great! Had the chipotle turkey wrap. It was very very tasty. Server was very polite and attentive too. Definitely coming back. The food here is good pub food, prices are reasonable. I think the seating is a bit cramped during peak times and the staff is short handed. However I have never had a terrible experience here. We frequent the restaurant about once a month and will continue to go. Great atmosphere with great food. Great place in Granville to get some great food and a drink or two. Wonderful all year round but ,nice in good weather when they can open up the front and have open air atmosphere. A must stop for a meal when visiting Granville, Ohio. Great local pub with a variety of beers on tap and good bar type foods. 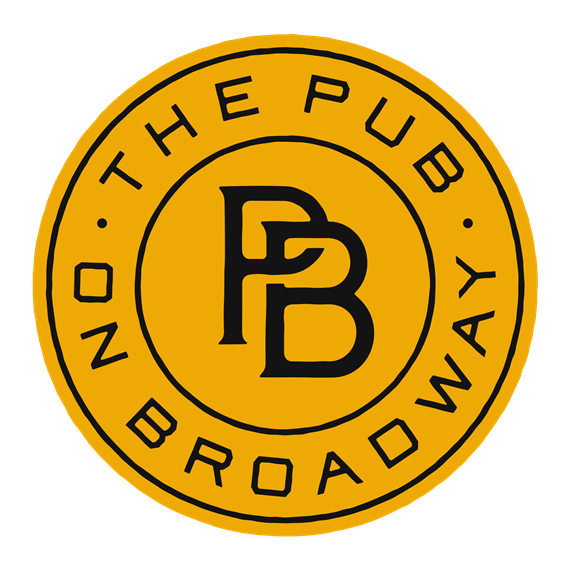 The Broadway Pub is a great place for craft beer and awesome food. It's quaint and has a great location in Granville but can sometimes get a bit noisy and over crowded. We love the menu and have never had a bad meal here. A welcome drinking hole for the area. Standard pub grub and food in a fun setting. The reuben sandwich was decent as was the sweet potato fries. A large beer selection. Too bad they don't brew there own. This is always a favorite place to go, great service and great food. great atmosphere in a small town. great service, good food, good craft beer selection. Our go to after a long busy and just need to relax. Last minute decision to eat here and it was the best pub food that we have had in a long time! We will definitely be back. Service was wonderful, and all the staff was friendly. Always on point. Fantastic Bourbon selection! Been to Granville many times but never stopped here’s before. Delicious! Had spinach dip, fish and chips, and fettuccine Alfredo. All were very good but I especially loved the spinach dip. Husband said he would definitely stop here again. Excellent food and good service. A bit loud in the evening as it is a sports bar. My fav place!! Great food, awesome drink selection & always excellent service! Solid Pub offerings for main dish...specials always worth the risk! Selection of Drafts worth the trip! Consistently wonderful in all areas! One of our new favorites!!!! Everything was just perfect- including the price! Good food, fun atmosphere, but very noisy. I'm the dishwasher. And I have been working there for a week or two. The food is good, the service tops, and I will definitely be there tomorrow. Service was great, they were quick and accommodating to us even with our group of 10, the server was caring and checked on us an appropriate amount of times to make sure we were happy. Great menu. Nice prices. The bar is a popular gathering spot. Service is great. Loved the French onion soup and the cheeseburger. The night before I had a very delicious salmon. Quaint place. Friendly staff and excellent service. We love the broadway pub! It’s our go to place to eat. We never have to wait long for our food. The wait staff are friendly and there are plenty of tvs to watch Saturday college football! Loved being with my future wife. Gets very busy during peak dinner hours. Be prepared to wait 30 minutes on Friday and Saturday nights. Food is really good and the wait staff was prompt and kind. Decent food. Nice service but a little slow. Great food, need to have places to sit until your table is ready. Got the bean burgers with the brussel sprouts, delish! Good food selection and great beer selection. Clean place great staff!! If you like beer, this is the place for you. All kinds of "micro-brew" and name bands as well. Great sandwiches, done the way you like them. Great social place too--lots of friendly people. Great food and beer. If your in Granville it's a great causal date night or place to watch some sports and have a few beers. Highly recommend.